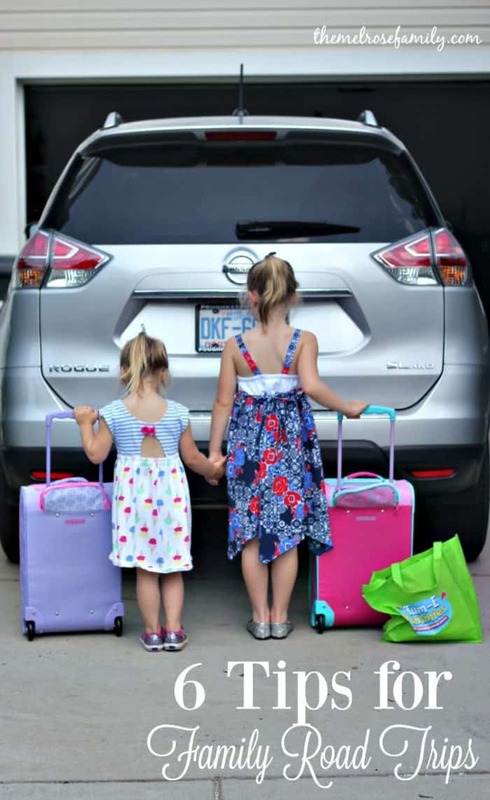 Are you planning a family road trip in the near future? We have learned a thing or two about road trips since our move from NY to NC. I’m sharing our Tips for Family Road Trips because there is nothing worse than needing a vacation after a vacation. 1. Make everything accessible. Whether you’re traveling just you and the kids, which I’ve done numerous times now, or you have your significant other with you, it is imperative that the children are able to get whatever they need. Nothing is worse than either having to stop or if you’re the passenger, contorting your body so that you can reach something in the back seat. By planning ahead and making everything easily accessible, you’ll save yourself stress and possibly back pain. It doesn’t matter if we’re driving back to NY for a 12 hour car ride or just to gymnastics which is 15 minutes down the road. Having easy access to everything they need is key. Plus, it gives them a better sense of personal space and responsibility. My youngest loves to feel like she a big kid that can do everything herself. 2. I’m a twenty first century mom and I believe in using the technological advancements that are available to us. I know some parents limit screen time and may not feel comfortable having an iPad or tablet within easy reach, but I am not one of those parents. This is especially true when we are going back to NY. The drive is over 12 hours and even when we stop half way, that’s still 6 hours in a car for two little girls that are used to dancing and doing gymnastics all day long. Literally! Check my SnapChat if you don’t believe me. They are extremely active. Luckily, our tablets have educational games on them that are age appropriate for my toddler and my kindergartner. Before we had tablets, we had a portable dvd player that I would let them watch on the drive. You need to be able to save your own sanity. 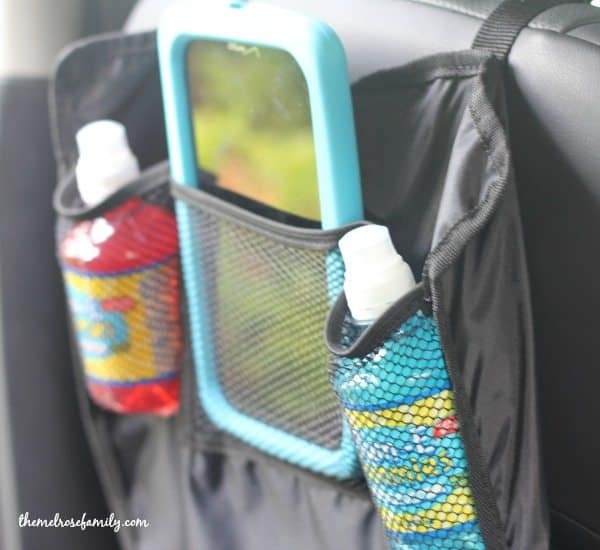 I certainly do not allow the tablets when we’re in the car for less than hour, but on longer road trips it’s a necessity. 3. Pack healthy snacks that require little to no opening of packages. Any time my girls are bored they appear to not have been fed for days. You would literally think that I don’t feed them. Especially my oldest. She’s like a bottomless pit when she’s bored. Notice I said bored and not hungry. 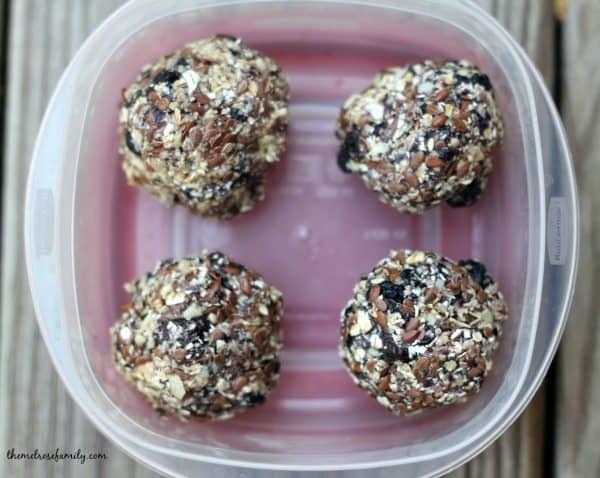 When we go on a family road trip I always make sure to make some energy balls that I store in a tupperware that is accessible to me. Notice I said that it’s accessible to me. Otherwise, my bottomless pit would eat all them in a matter of a five minute span. 4. Be prepared with drinks! Since I know that my girls are going to needs snacks on a family road trip I make sure that they have an accessible beverage within arms reach. My girls love Tum-­E Yummies because they they that they’re drinking something fun. 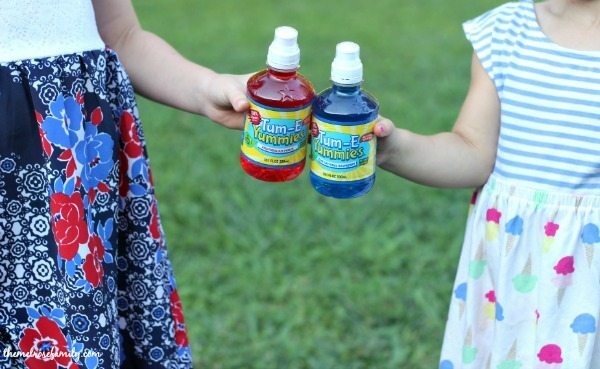 While it certainly is fun, Tum-E Yummies is fruit flavored water that contains 100% of the daily value of vitamin C, B6 and B12. Plus it comes in five fun flavors: Very Berry Blue, Greentastic Apple, Fruitablulous Punch, Orangearific and Sour-sational Raspberry. As a mom it’s also important that while on a family road trip that my youngest can drink from the bottle without spilling it all over herself. 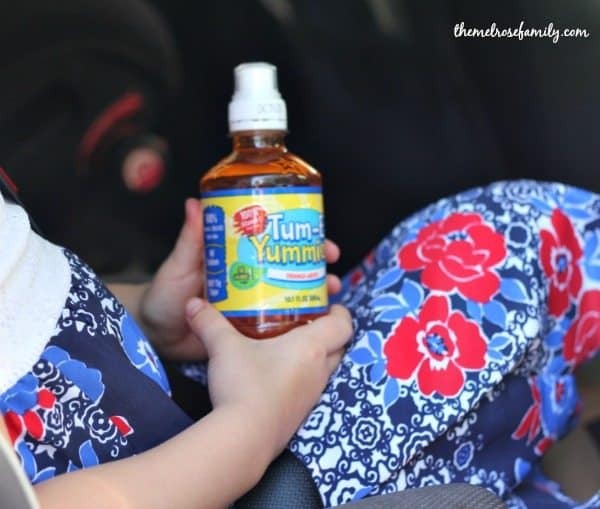 Tum-­E Yummies comes in a sports bottle that is easy to open and drink from so it’s always my beverage of choice for long road trips. Plus, I love the fact that it fits into their cup holders so that they have access to it on their own. 5. Pack a busy bag for each child. I feel it’s important to have an age appropriate busy bag for each child on long family road trips so that they can amuse themselves a bit as well. In Riley’s busy bag, which is the green bag above, we have everything from an art kit with coloring books to sight word cards and puzzles. Each of my girls always have a busy bag right at their feet so that they can grab what they need when they need it. Keeping it age appropriate is important though because the last thing you want is frustration over not being able to use something in their busy bag. 6. Give them breaks! When you’re on a family road trips with children that are in elementary school or younger then it is going to make your life much easier if you give them breaks from being confined to the car. Find a local park or even a rest stop where they can get out and practice their dancing and gymnastics. They’ll thank you for it later. If you’re lucky, you might even wear them out enough where they will actually fall asleep in the car. I do my best to plan our time on the road to be optimal time for napping for my youngest. I also do my best to have meals break up our driving. A little planning can go a long way in saving your sanity. 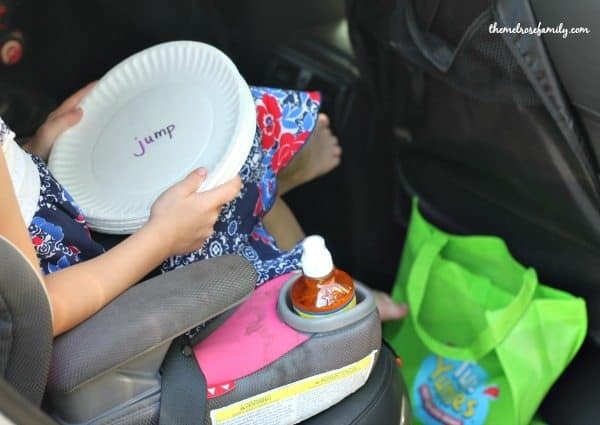 What are some of your go­to tips for family road trips? Thank you to Tum­E Yummies for sponsoring this post.